So you may have noticed (and if you haven't clearly you aren't following my blog closely *tsk* *tsk* just kidding! No seriously though...) that I haven't blogged since last Friday. 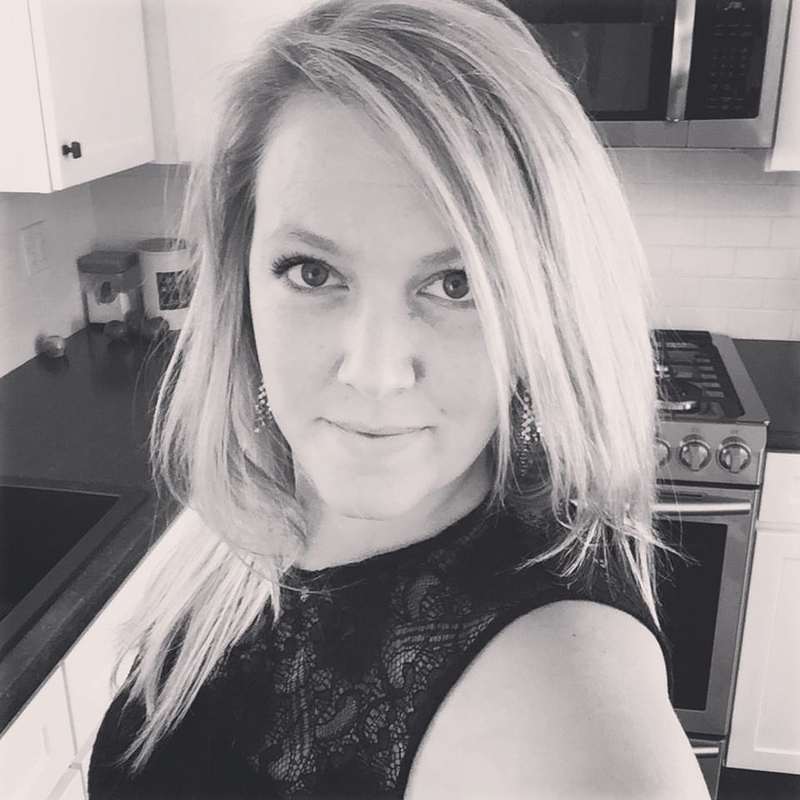 I went on a 15 day blogging streak which was amazing. Then it all stopped. I had things going on this weekend and I got really busy, and averted my attention to my family. So here we are at the beloved (at least by me...and you too if you follow my blog - refer to above comment if you don't) "Quote Of The Week". I love to scroll through Pinterest with a glass of wine in hand and read all the fabulous, or not so fabulous quotes. This week I came across a quote, that was very similar to the one above, but I wasn't completely in love with it. So I decided, I would adapt it and create my own this week. As you may now, I have a connection with anchors. This came way before I met my lobsterman husband and it was not because I was raised by two parents who were in the Navy. No, it is because it can mean so many things. And to me, I have always felt that you need to be anchored. . . Whether it be with your family, job, or everyday life, I believe that you should be anchored. Find something that will ground you. It will keep you focused and will enable you to really be yourself. If you aren't anchored in love, then are you really in love? I know my husband is my anchor. I depend on him to keep me grounded, and I know he will always be there for me. 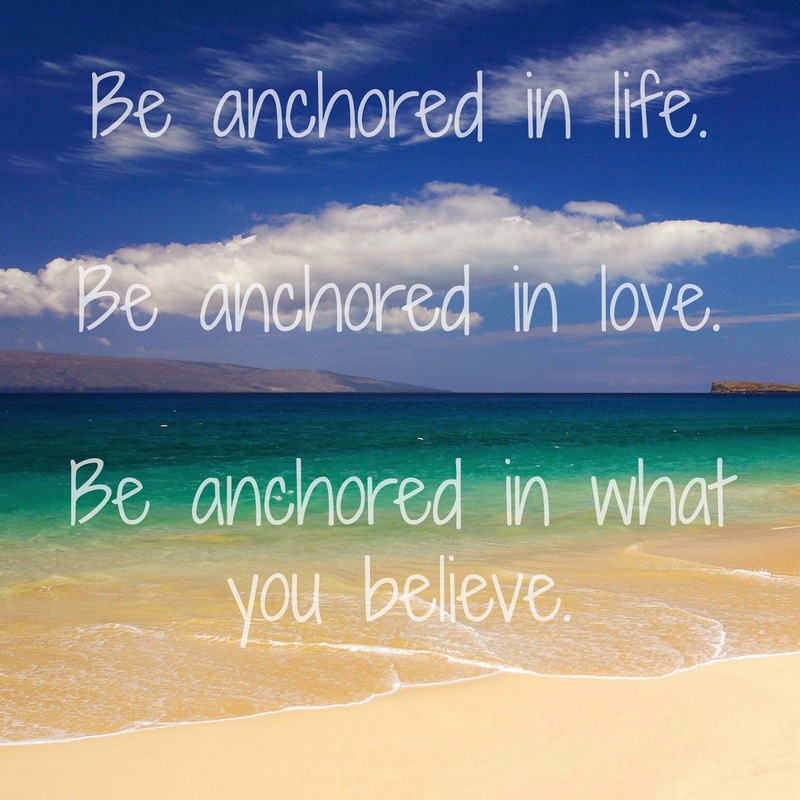 Be Anchored in What You Believe. This really hits home now that I am a new mom. I got so much advice and so many "looks" when I make decisions for myself, family, and child. I can please everyone. So I just have to decided to be anchored in my decisions, and do what I believe is right. Don't let anyone make your mind up for you. So to me this quote means a lot. I just believe that being anchored, or having something to anchor you in life in imperative to living life to the fullest and truly living it for you and on one else. It's about having the confidence to life for you. sometimes you need a break!!! but i like that idea of being anchored!